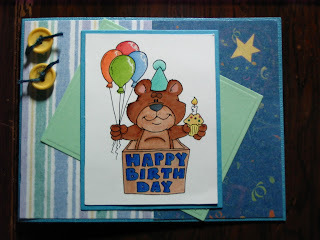 Queelister's Place: World Cardmaking Day!! Last Saturday was World Cardmaking Day and many of the blogs had a lot of events going on. I just wanted to share with you some of what I did. Faith over at Delightful Inspiration had 3 blog hops going on and a challenge over on her CDAC site. One of the challenges was to use one of your favorite images from her shop, over at designed 2 delight. 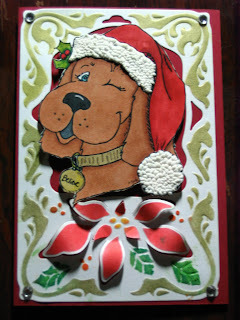 I chose one of her very first digi stamps she ever made called , Believe, just perfect for Christmas. Here's what I did. I used Copic markers to color in the image and use white liquid applique to simulate the fur on Santa's hat. Cut out the image and added it to the spellbinders Pointsettia frame which I had stenciled yellow, green, red and gold. 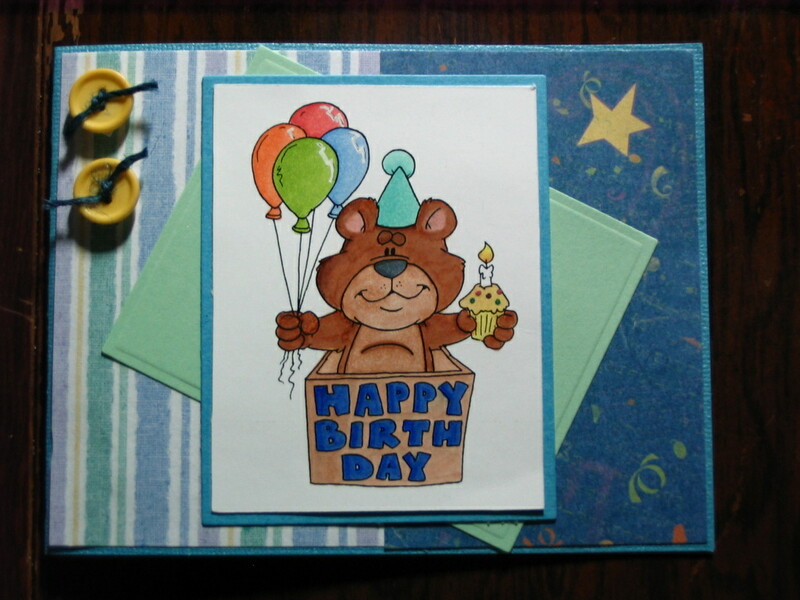 This card will be entered into Bugaboos Anything goes challenge and Paper Sundaes from your stash. Another card I did was this one. This image is a freebie from Dustin Pike's Doodle Dragon, isn't he so cute. Over at Doodle Dragon Studios challenge site their challenge is to make a masculine card, I think this is just perfect for that. Adorable cards! Thanks so much for joining us at Paper Sundaes this week and using something from your stash. Super cute card! Thanks so much for joining us for this weeks Bugaboo Catch The Bug Challenge. Be sure to join us again tomorrow!! these are just so cute..Thanks for joining us at Paper sundaes this week. OMG - I love, love, L-O-V-E your puppy Christmas card!!! :D Thanks so much for participaing in Catch the Bug's World Card Making Day / Anything Goes challenge with Bugaboo Stamps! :D MWAH! Oh my gosh, both of your cards are wonderful. I love the images and the way you colored them. Thanks for joining the Catch the Bug challenge with Bugaboo stamps. I hope you'll join us again for our next challenge tomorrow. Wow I love your project it is just awesome! Thank you so much for playing along in our Anything Goes challenge this week at Catch The Bug Challenge Blog. I wanted to wish you luck and I hope you come back next week when we have some wonderful things planned and a very special Blog hop with lots of ways to win! Very cute! Thanks for playing along with us at Doodle Dragon Studios!